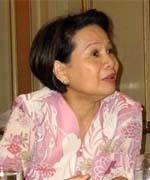 With an ever flourishing career in top level management that spans almost four decades, Pet has been pivotal in leading some of the foremost local and international companies like URC, Kraft Foods International, San Miguel Corporation, Wyeth Philippines Inc., PT Warner Lambert Indonesia and Pfizer Inc., to great heights. His managerial expertise, honed by fruitful years of dedicated service and incessant desire to innovate, has been highlighted by various recognitions, namely: The AGORA award for Excellence in Marketing Management in 1994, the 2006 Executive of the Year Award by the Philippine Association of Secretaries and Administrative Professionals Inc., and the CEO Excel Award of Excellence by the International Association of Business Communicators in 2005. 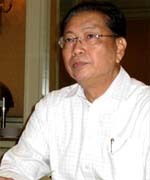 He also holds the distinction of being the first Asian and first Filipino to be appointed Chairperson of the Jakarta International School Board of Trustees. Pet’s affiliation with elite corporate organizations includes the Management Association of the Philippines and the Makati Business Club. Pet received his B.S. Degree in Economics from Ateneo de Manila University, and completed his Masters in Business Administration majoring in Marketing and Finance at the Ateneo de Manila Graduate School of Business. Of the four fruitful decades that the BusinessWorld has been in existence, almost half of those became testaments of how Anthony Cuaycong had faithfully served and inspiringly led the company to become the country’s most reputable business newspaper that it is now. His rise in the corporate publishing echelon of BusinessWorld started immediately after college. A few years later, he became the youngest Section Editor, then a Circulation Director. Two months hence his last appointment, he became the Personnel and Administration Manager and concurrent Executive Assistant to the President. It was during this term and under his watch that systemic rehabilitation of the company’s hiring policies and practices, which brought about drastic improvements in the recruitment standards and requirement servicing of internal clients, were effected. Since 2005 till the present, he has been serving as the Vice President and Chief Operating Officer of the BusinessWorld, and has also been acting as the President and Chief Executive Officer since January 2008 while the current President is on sabbatical. As the acting President and CEO, he directly supervises the Marketing Department in its effort to innovate and re-engineer their client services and product offerings which thereupon, resulted to the marked increase in advertising revenues, to the formation of strategic partnerships, and to the strengthening of their brand equity. His admirable corporate citizenship, his efficacy as a leader and ingenuity as a thinker earned him his seat as a rightful Member of the Board of Directors of BusinessWorld since 1999 and his position as the Treasurer of the Board since 2005. 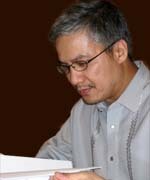 He received his Bachelor of Arts in Economics from Ateneo De Manila University in 1989. He later on pursued his Masters degree in Business Management at the Asian Institute of Management in 1998. Acknowledged as an international strategist, Diosdado Salvador Jr. was the first Filipino regional President of Johnson and Johnson’s ASEAN Consumer Group of Companies from 1999 to 2004. In this capacity, Ding (as he is fondly called), was responsible for the development, control and profitability of ten ASEAN markets namely, the Philippines, Thailand, Indonesia, Singapore, Malaysia, Vietnam, Myanmar, Laos, Cambodia and Brunei. Prior to this regional post, Ding served as Managing Director of Johnson and Johnson Indochina (1995-1998), Johnson and Johnson Thailand (1994-1995), Vice President of Johnson and Johnson Philippines (1991-1994) and Director of Sales (1989-1990). In 1998, the Asia-Pacific Agora Award for Marketing Excellence was given to him in recognition of his outstanding achievement in Marketing in the Asia-Pacific region.Ding Salvador has retired for worthwhile pursuits founded on creating an impact to his immediate community and the country. Currently, he is the Managing Consultant of Filipino toothpaste manufacturer Lamoiyan Corporation. He is also the Chairman of MarkProf Foundation, Inc., whose foremost objective lies on developing future corporate business leaders. He is also a Trustee in Galing Pilipino Movement, a Professorial Guest Lecturer (on leave) at De la Salle Graduate School of Business, and Chairman of FoneNet International Corporation.